So much to say .... so little space. Hey, wait a minute? This is the internet. We can say as much as we darn well please! This timeless style in shown surface mount, but can also be made inset if desired. 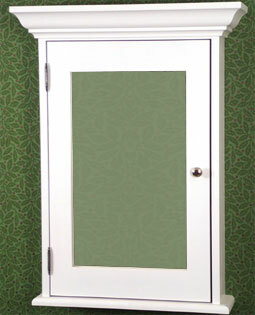 The straight frame sides, mitered crown top, inset door and basic bottom really complement any vintage decor! Comes with two adjustable shelves. Choose oak, poplar, stained, painted, or unfinished. Choose antique brass, nickel plated, or wrought iron hinge and specify hinge on left or right side. Knob not included. Measures 20" w x 24" h x 7" deep. Options: $95.00 Beveled glass $20.00 two glass shelves instead of wood $40.00 Larger size Measures 24" w x 30" h x 7" deep. 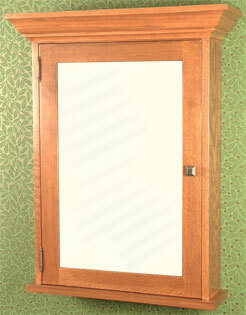 A surface mount medicine cabinet will look substantially more appropriate for a classic craftsman bungalow than some made in China alternative. Craftsman style cabinets look best in a craftsman style home, there is no doubt. Our wood framed medicine cabinets are skillfully hand made in America by an artisan with many decades of experience crafting mission style products for an exacting clientele. 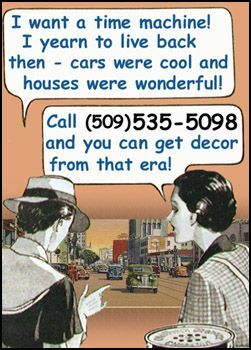 Consider our offerings if you need a medicine cabinet with a mirror.